PARIS, France - Stéphane Plisson, lead engineer for French equipment hire and production company Dispatch SA, recently selected a Studer Vista 5-42 digital console for the tour of Mylène Farmer, one of France’s most successful recording artists selling over 45 million records. The Vista 5 was selected for its undeniable advantages compared to other consoles in terms of sound quality, user interface, expandable I/O system as well as the VSP (Virtual Surround Panning) system. 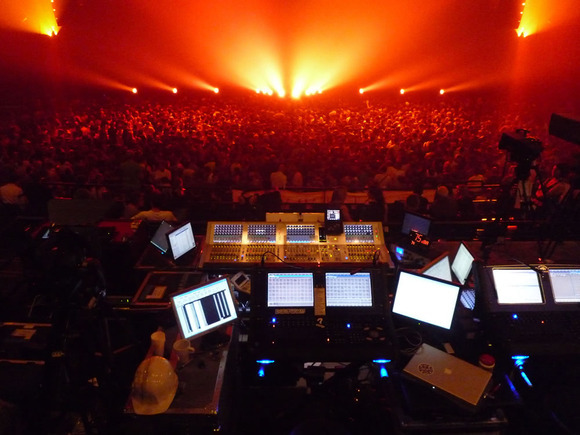 The engineers at Dispatch were so impressed with the Vista, they subsequently purchased the fully tour equipped version, the Vista 5 SR.
On the Mylène Farmer tour, Stéphane Plisson took full advantage of the Vista 5’s versatile static automation, so that the rehearsed framework of the show could be run from the cue list, whilst having the freedom to tweak any parameter to accomplish a perfect sounding show from one night to the next, adapting to every venue’s characteristic. He also loves the VSP panning, which he uses to create a wide stereo image without damaging the mix for those of the audience who are not situated in the “sweet spot” of the venue. Dispatch is France’s leading hire company providing professional audio equipment to the Tour and events industry and it has been evolving each year since its inception, in 1982.